As I posted last week, we have switched video platforms on nhregister.com. And when we asked for feedback on this new platform - we learned that a common practice of ours for a while now has been ticking off readers. Ticking them off so much that some have stopped clicking on stories with (video) marked in the headline. Ouch. Admittedly, I'm angry at myself for not realizing how invasive it can be to the reader's experience to call up a story and have a video (preceded by an advertisement) interrupt it. We should have had this conversation long before we switched video players. A video can be a great contextual addition to a story, but it is something that should provide extra depth or color at choice, not force. It should be an opportunity for reader engagement, so we're finally listening, and finally making it so. The rest of the internet is like this, so there's no reason for us to fight it. The only place on our website where this won't ring true is on our video page, www.nhregister.com/video. Because, let's face it; if you're going to that page, you're probably planning on watching a video. It's just a small step towards improving the reader's experience here at nhregister.com, but a step in the right direction nonetheless, right? It's a direction we will work hard in 2011 to continue moving in. If you have other suggestions for how we handle video or our new video player, please leave a comment or email me at cmarch@nhregister.com. There are certainly more changes to come and efficiencies to be made as we go forward. 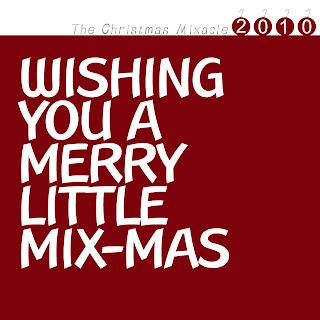 I make Christmas mixes for my friends and family every year. Because cards are boring, and music isn't. 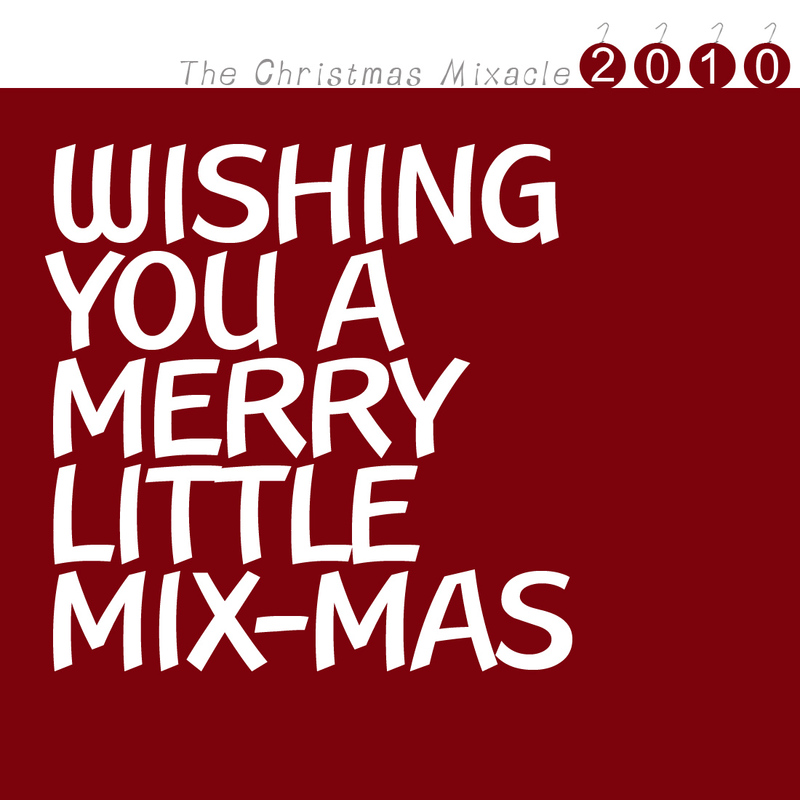 So here it is; Happy Mix-Mas, every one. All files are a .zip file at the links. Read on for tracklistings. Christmas came early for the New Haven Register newsroom. On Tuesday afternoon, we (and those other classy CT Central news media outlets) switched over to a new platform to better handle our video capabilities. Cool, I know. But what does this mean to you, the reader. Well for one, MORE video. This new platform (called Syndicaster) takes a lot of the extra production steps out of the equation. Which means our reporters and photographers can spend more time getting video of their community and beat, more time writing stories, more time being a REPORTER, and significantly less time worrying about editing and compressing and finagling, and trying to figure out where their online producer is when they need help. Basically, this new platform makes this newsroom's job easier at generating content. It also means MORE sharing. See that little icon in the bottom left corner of the (new) video player? The one that looks like two hands molding a ball of cookie dough in their grasp? Click that. .... go ahead, I'll wait. See? It gives you the option to publish this video clip on your own web site, blog, or digital whatever. See also: YouTube, Vimeo, and most every video service on the web sans the one we just switched over from. Taking that a step farther, we now can share and utilize all the video content from our brother and sister papers across the Journal Register Company much, much easier. The end of the video is not the end of the video. If you'll notice with the new player, a new video begins when the one you're watching ends. So basically -- you bring the popcorn, we'll bring the video. Just push play, and watch some of the the stories of your community come alive. More changes to come, of course. This is a new engine for the Register's video vehicle, so there are some chinks we'll be working out over the course of the next few days. And there are certainly upgrades and efficiencies we'll be adding to it as we continue to grow with it. And older stories with embedded videos from our old platform will eventually have to be updated, as those "codes" will all go dead in a few months once our term with our previous vendor expires. Which means those of us in the online production department are going to need back rubs. A lot of them. I say it's a win. But how can we improve upon it? UIWhat do you think of the new video player? Spend a little time with it, and tell us what you like and loathe about it. Is it user friendly? What do you want to get out of it? What's it missing? What about the video content? Are we doing too much? Not enough? What do you think of the quality, what can we do better? Do you like short, snappy one liners -- or 5 minute long features packed with effects and edits? We aren't doing this for fun and flash (no pun intended) - we're doing it to try and tell your stories in a more engaging, and interesting, way. Do you have any idea how many different Twitter accounts are managed by the New Haven Register? Or do you know how many reporters, photographers and sales reps are using (or learning to use) Twitter to engage with their communities, link to their work and sometimes scoop story tips and sources? Do you even know if the New Haven Register has a Twitter account? It's been a very free-form and scrappy process over the past few years as newspapers have slowly begun to incorporate social media and Twitter into their daily routine and news delivery. Some have embraced, others have sat back skeptically. Some have 'gotten it' ... others have yet to add a picture or logo to their profile. As of this posting, our primary Twitter account, @nhregister, has reached a critical mass, of sorts, with 3,339 followers and 8,514 tweets to our name. So we know it works and that some get their news this way. We've established a strong base, but now it's time to take that branded cloud and push it to the next level - not just one of linking and branding, but one of engaging our communities. Both physical, and digital. Basically, it's time to strengthen our communication with you. Over the next month, I'll be posting on this blog about what steps we'll be taking to strengthen our use of Twitter going forward as a news organization in a digital age. And I'll be asking for your help and preferences. Because if it doesn't work for you, it won't work for us. I'll monitor and report here how these changes affect our traffic at www.nhregister.com, as well as our followers, and I'll be asking/hoping for feedback on quality and experience.Which accounts and practices work, which don't -- things like that. The first step though is to show you what we got, as of this posting. Read on for the Register's Twitter cloud of topic accounts and staff members. And if you only follow one, make sure it's @loudercmarch @nhregister. I went to the Indie Craft Fair at The Space in Hamden on Sunday, and I dropped $10 on two bowls made from vinyl records. They look pretty groovy. Pun intended. But five bucks for a bowl made of a record that nobody wants? I can do better than that for less than that. I challenged it to a duel. And it ended up becoming a four corners match, pitting me against the task of making vinyl records into bowls, Christmas presents on a low budget, and Neil Diamond. So two nights ago, I did some research and learned it isn't hard, expensive or time-consuming to turn a few vinyl records into a few awesome looking bowls to give away as gifts to friends and family. 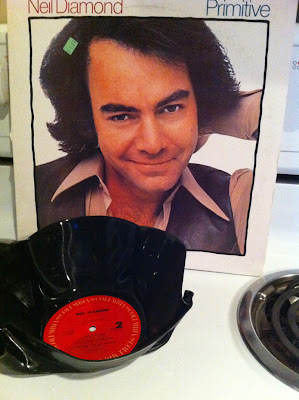 I lost to Neil Diamond's chest hair. But WIN: I made a pretty cool bowl out of a vinyl record. And, in record time no less. Learn how you can make your own nifty bowl out of a vinyl record after the jump. All you need is an oven, a record, an oven-resistant bowl, and about 10 minutes of your time. Hot pads too, I suppose. To quote from the gospel of Kevin Smith movies; "The whole world's against me, dude, I swear to God." Basically, that's what this blog is about. Me going toe to toe, pound for pound, round for round with life. Suffice it to say: life is tough, get your head a helmet. My intent here is not to blog about me. Not really. That'd be more of the monotonous drivel that already hammers away at your Twitter and Facebook feeds daily, where everyone shouts the same word into their megaphones: "ME, ME, ME." We don't need more of that. This isn't a story about me trying to get past life as a minefield. What interests me is stepping on these mines. I want to see how much life's obstacles really blow. That's the SOP for this here blog where I fight things. I like attempting new things, I like quests, and I really like music, film, arts, and etc. So that's all game here. Writing about my bout with Sovereign Bank or trying oysters for the first time is just as relevant here as the new Kanye West album. These are mines that lay in our field, and some blow more than others. So I hope you follow along or drop by once in a while and bring me some of your own challenges. Dare me to try things, send me your band's records/demos for review. This is where I need to stop myself before I go ahead and say something like, "this blog is the bomb." Just keep some things in mind. I hate strawberries. I don't jump off bridges because I was told to. I won't fight a snake. And I don't fight the law, 'cause the law wins.